Terror leader allegedly disguised as a businessman; investigation into crash ongoing. Air Algerie flight AH5017 crashed in northern Mali Thursday, killing either 116 or 188 people. While most of those killed aboard were French - including at least 33 French military personnel and three senior intelligence officials - a Lebanese Hezbollah leader was also killed in the crash, according to the International Business Times. A total of nineteen Lebanese citizens were on the flight, according to the news agency; some of them held dual French citizenship. 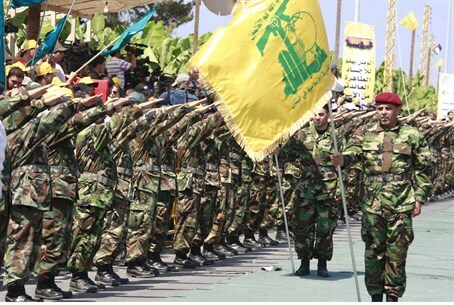 The Hezbollah leader was allegedly disguised as a businessman. The cause of the crash is still unknown, although the possibility of Islamist terrorism is still being investigated. The exact number of people present in the aircraft, a McDonnell Douglas-83, is still unclear - whether it was 116 or 118. Both "black boxes" - the cockpit voice recorder, which documents audio from pilot, co-pilot, and air traffic control during the last 30 minutes of flight, and the flight data recorder, which provides technical information for that period - have been found, CNN reported Saturday night, but have no yet been analyzed. Meanwhile, terrorists from Al-Qaeda offshoot Movement for Oneness and Jihad in West Africa (MOJWA), locally known as Tawhid and Jihad in West Africa, are said to be circling the crash site. MOJWA allegedly has an arsenal of Libyan missiles in its possession; however, experts have ruled out its involvement in a ground-to-air attack on the plane, claiming it lacks the technology necessary to bring down a passenger jet. "We rule out — and have from the start — any ground strike," French junior transport minister Frédéric Cuvillier told France Two television. Algerian authorities are still investigating the possibility of explosives inside the downed flight. "The investigation is still going on," Algerian transport minister Amar Ghoul told reporters. "It needs time but we should not ban any hypothesis until the investigation is achieved. We need to deal with information carefully and not believe rumours until investigators finish their job." "We cannot talk about the real reason for the crash before the investigation is finished," he added. "Technical data indicates bad weather. Mali has the priority to investigate as the accident took place there. Algeria, France or any other country will help in accordance with the law." Lebanese authorities have also sent a delegation to assist in the crash investigation; Beirut did not comment on reports of a Hezbollah leader being among the victims.